In Social Studies class, you can use “The Lorax” from its standpoint of demonstrating human greed. Discuss the difference between needs and wants with students. Ask students if they think it is right to destroy nature in order to make some money. Ask them if money is more important than saving the earth. After the discussion have students write a paragraph how they feel about preserving the world. Have them draw a picture to go with their writing sample. Check student work and have them revise with corrections if necessary. In the story the Once-ler acts rude and talks inconsiderately to other characters. Ask students how they feel when they encounter a rude person. Discuss with them what the proper way to handle a rude person is. Ask the children what manners are. Have students practice interacting with each other by being polite. 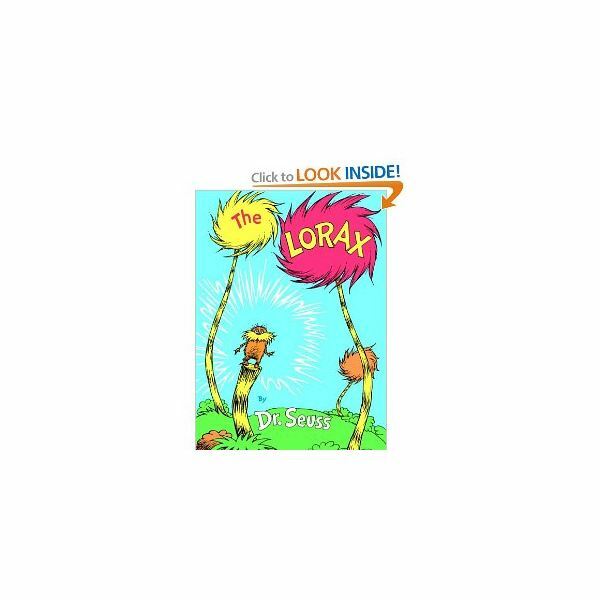 Use challenging words from the book “The Lorax” for vocabulary practice. Have students define the new words and put them into sentences. Go over the sentences together as a class so that students can hear the words expressed in different ways. The book “The Lorax” has a lot of made-up words in the story. Have students try to decipher the fabricated words by looking at the made-up words roots and figuring out how they are used in the story. Advanced students may enjoy the challenge of figuring out what part of speech each word is. There is no right or wrong for this activity. It is simply a way to practice deciphering tough words that they may encounter by using root words and context. The Once-ler charges 15 cents to anyone who would like to hear his story. Ask students what change combinations add up 15 cents. Ask the children to use various coins such as nickels, dimes and pennies. See how many combinations the class can come up with. The Once-ler gets a new machine in the story that cuts down trees in the forest four times faster. Ask students if the old machine was chopping 20 trees per day how many trees would the new machine chop down. Then ask how many more trees it would be knocking down if the number was 25, 30, 40 or 50. Teach students about the conservation of trees. Hand out materials and read articles about conserving nature. Ask how the removal of trees affects the earth, the animals and people. Have students make a conservation mural. Lay a large sheet of paper on the floor and have students draw pictures on it that is related to ecology. Display it on the back of the classroom. Have students make posters about preserving nature. Tell the students to draw trees, forests and lakes to show how beautiful nature is. Hang them up on a bulletin board. Students can make ecology collages. Hand out magazines to students and have them cut out pictures related to the environment. Students can cut out pictures of things that have negative effects on the environment. “The Lorax” by Dr. Seuss introduces students to the theme of conservation. Although it was written before we began to have global concerns about the environment, the book discusses the harmful effects of industrialization on nature.